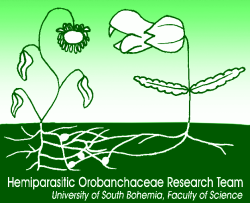 Welcome to the homepage of the Hemiparasitic Orobanchaceae Research Team! Root hemiparasitism is a kind of mixotrophic nutrition occurring in different forms in several unrelated groups of the angiosperms. 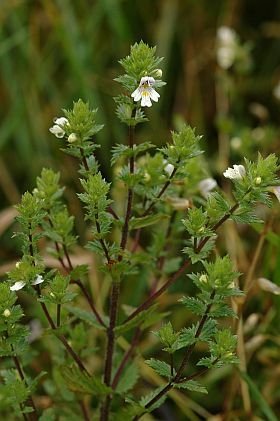 In general, the hemiparasitic plants gain mineral nutrients and water from a host plant. Carbon acquisition and energetic input in hemiparasites have traditionally been supposed to rely more or less on their own photosynthetic activity. Our team works on different aspects of biology of root hemiparasites of the family Orobanchaceae (formerly a part of Scrophulariaceae). These plants are an important functional component of various ecosystems even acting as the keystone species in some of them. This role is mainly connected to their ability to gain and cumulate nutrients and thus modify nutritional conditions in the environment. Relationships among other plant species can be also altered in presence of the hemiparasites by decreasing biomass production and competitive strength of the hosts, often dominant species.